I got this gist from Transparencyng.com... and I'm pasting it just as it appeared there. During an eight-minute telephone chat yesterday through telephone number +49611433436, a senior consultant of the hospital who spoke on condition of anonymity, said Mrs. Jonathan was brought to the hospital early last week after the management of the hospital had been contacted and briefed on the deteriorating health condition of the first lady. She said that Mrs. Jonathan was getting better but added that the hospital management would ensure that she was fully fit before she would be allowed to go back to Nigeria. When we demanded further details, the hospital official said it was improper and unethical for her to make such details available to a third party, ending the call and refusing to pick up subsequent calls. A reliable source in Aso Rock told us that the decision to take the First Lady to Germany for better treatment was borne out of the fact that her medical aides in Nigeria complained that they could not get accurate diagnosis as a result of insufficient medical facilities in the country. Twelve days after she left the country, her Media Assistant, Ayo Osinlu, yesterday said there is no definite date yet for her return. In a telephone conversation yesterday, Osinlu insisted that Mrs Jonathan is on a foreign trip to take a well deserved rest. "I can tell you authoritatively that the First Lady was not lifted by any air ambulance to anywhere, all those things are lies. "Nobody is going to put a gun on my head and force me to talk when I have no fresh information," he said. Asked when the First Lady will return, he retorted: "I don't know. I don't have any information on that. You don't expect me to call her and ask her when are you returning, is she my mate? Ours is to ensure everything is in order to receive her once her return is made known to us. I do not have fresh information on that". 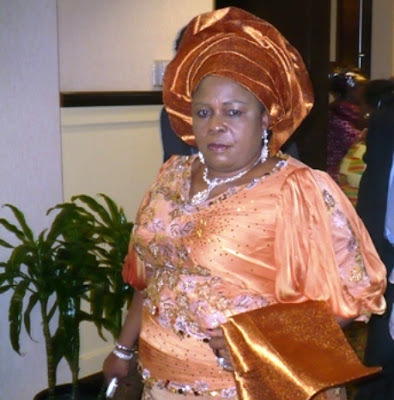 Osinlu had on Sunday laboured hard to justify Mrs Jonathan's sudden disappearance from the public. “If you look at her itinerary in August, you will be wondering how she was able to accomplish that,” he told a national daily. Credit: George Agba, Abiodun Oluwarotimi and Leadership Newspaper.